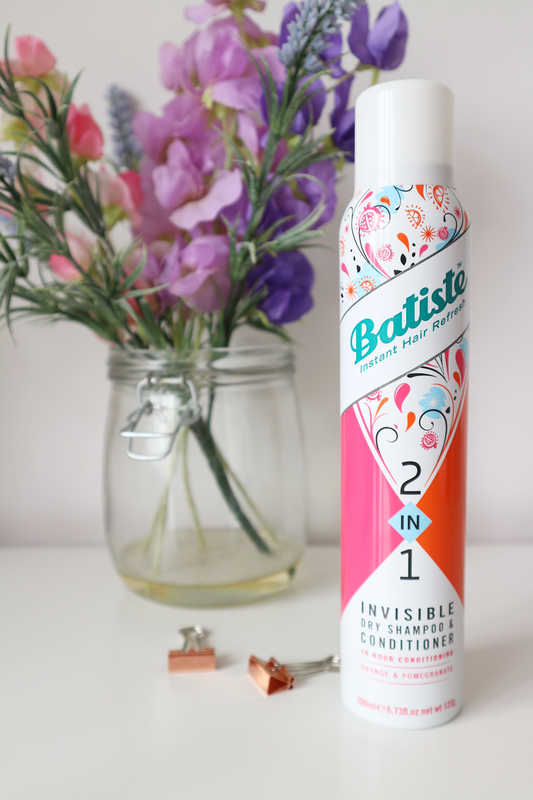 A few weeks back I received the Batiste 2 in 1 Invisible Dry Shampoo and Conditioner* in the post to give a try. I am a big dry shampoo user, and only ever use Batiste’s. Their favourite of mine has to be the XXL Volume one – my hair is pretty much straight and flat, lacking any life so I have been known to spray a bit of this in the roots even when my hair isn’t in need of a shampoo! I’m a big fan! Unfortunately the same can’t be said for this product! I really wish I could give some positive feedback – I expected great things but for me, it hasn’t delivered the way I had hoped. The packaging is great. It’s bright and fun, sticking to usual, but that’s about as far as it goes. After trying it a couple of times, I found it didn’t do a lot for my hair, if anything – it made it look worse! Spraying it on 3-4 day old hair where I usually start to get a bit greasy, the conditioner made it greasier than ever. Onto the scent, I believe there are 3 scents in the new 2 in 1 range, so the following can’t be said for each one, but I found the Orange and Pomegranate to not smell at all like you’d think. I couldn’t smell an ounce of orange, pomegranate or fruit for that matter, instead all I could think about was that chlorine smell you get at swimming pools – odd, I know! It’s such a shame that this was such a let down for me – let me know if you’ve had a different experience!